Our Life Covered℠ was designed for women, by women. Their goal is to make it easy and affordable for women to find the right life insurance policy that meets their needs. 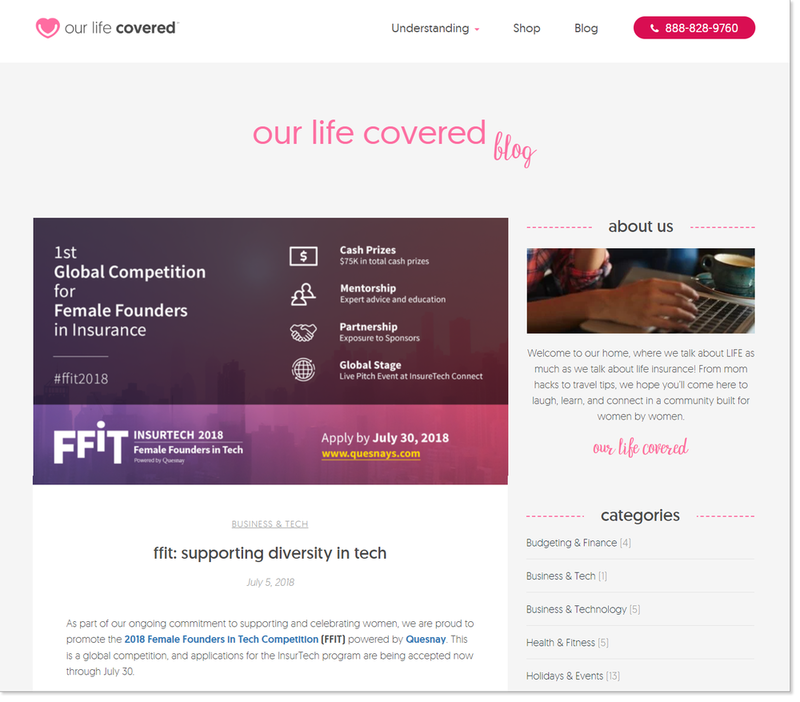 Check out their latest blog post that proudly supports the Female Founders in InsurTech Competition. Click here to view other blog posts by Our Life Covered℠, including their recent post on 5 smart moves to prepare for the future.